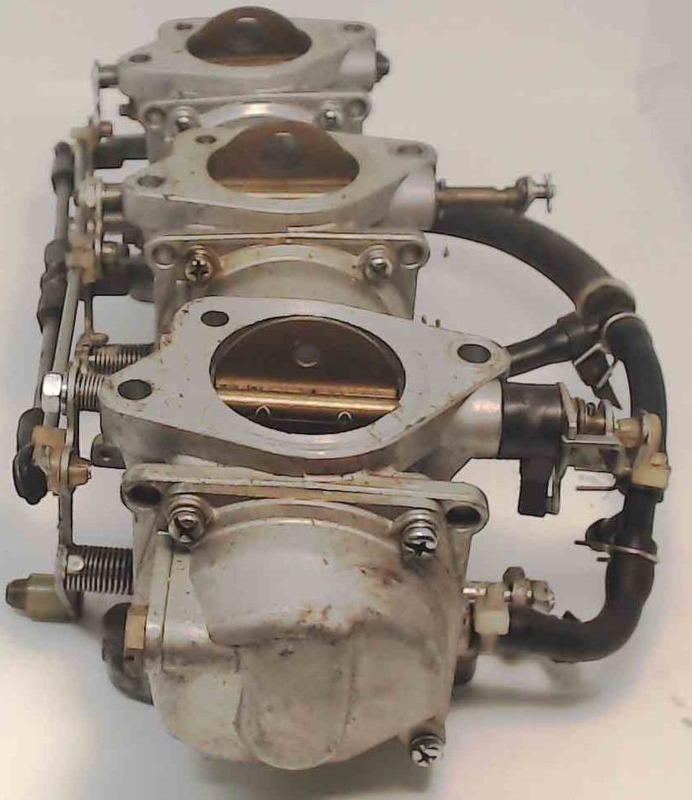 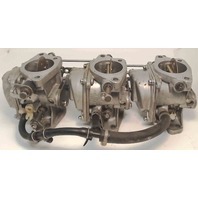 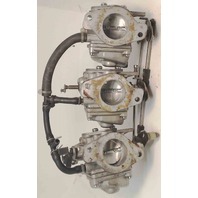 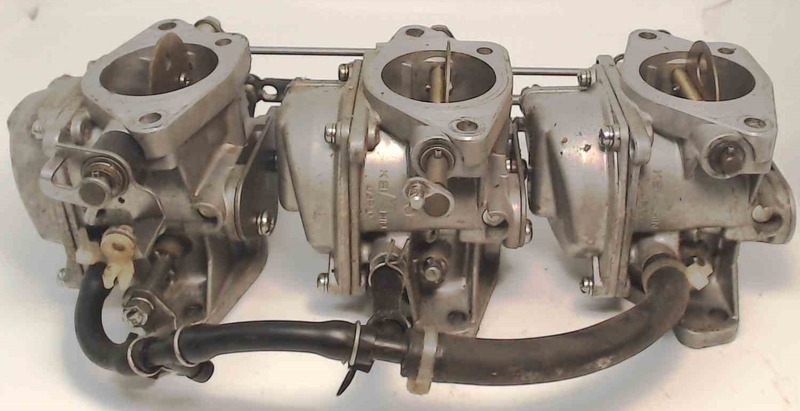 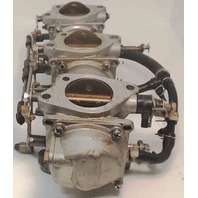 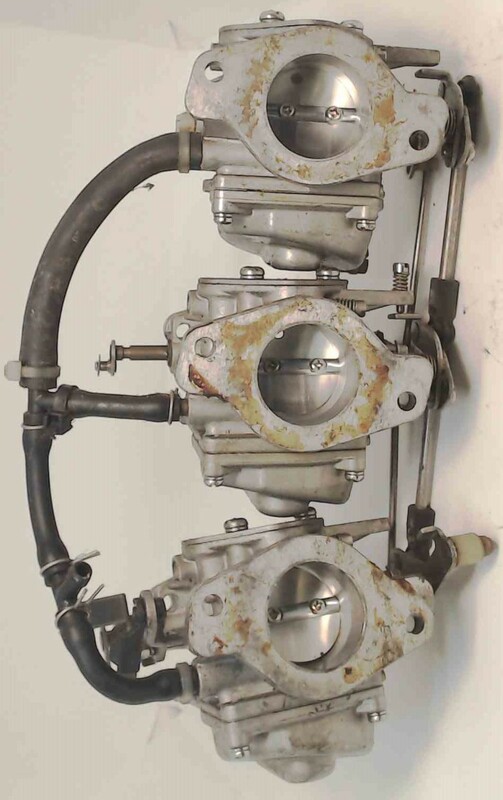 We are selling this Yamaha carburetor set as-is. 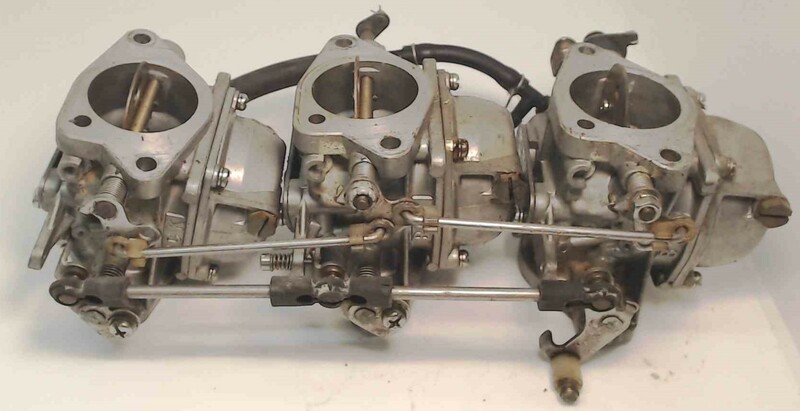 We cannot positively identify the years and horsepowers that this will fit so we cannot pull up a schematic for the carburetor set to determine if all the parts are here. 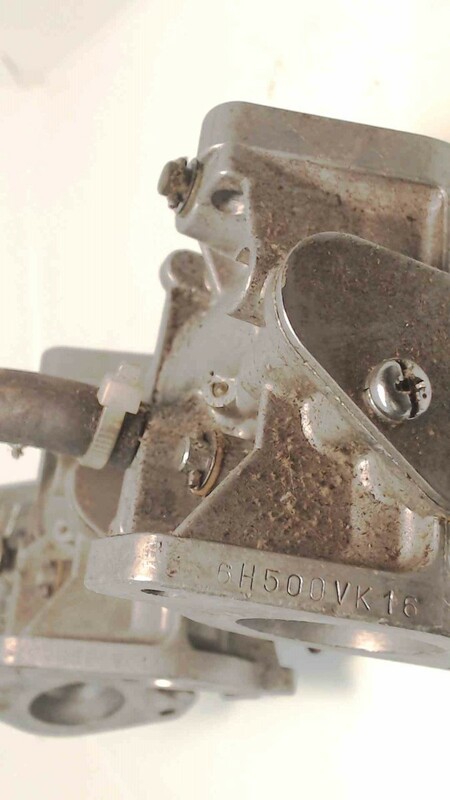 Thus we are selling for parts or repair only. 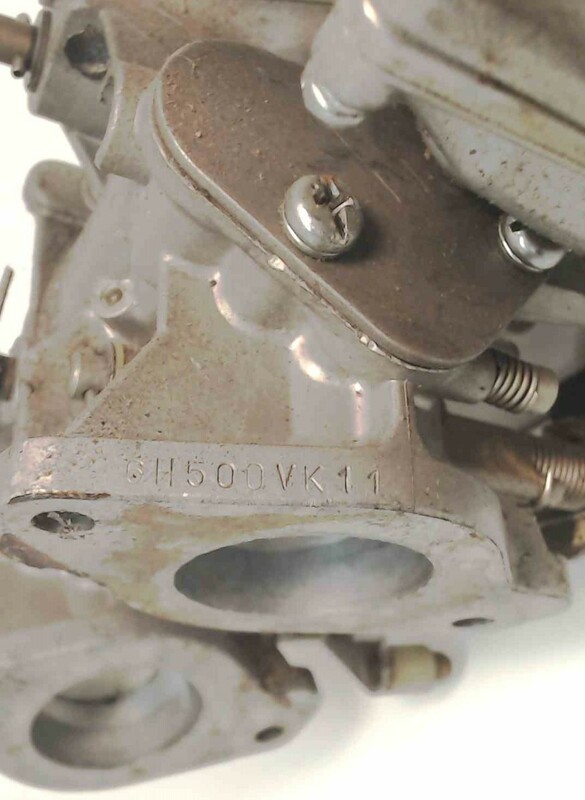 The only information that we have for this set is that it is stamped with the casting 6H500, meaning that this was definitely removed from a 50 HP motor, but may fit other horsepowers as well. 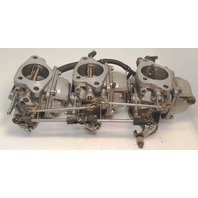 Because we are selling this as is, we cannot accept returns for this item. 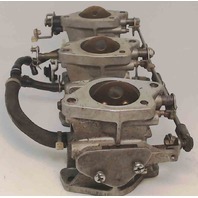 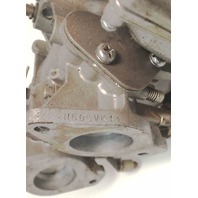 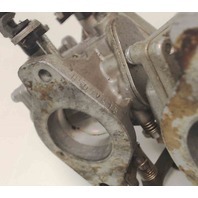 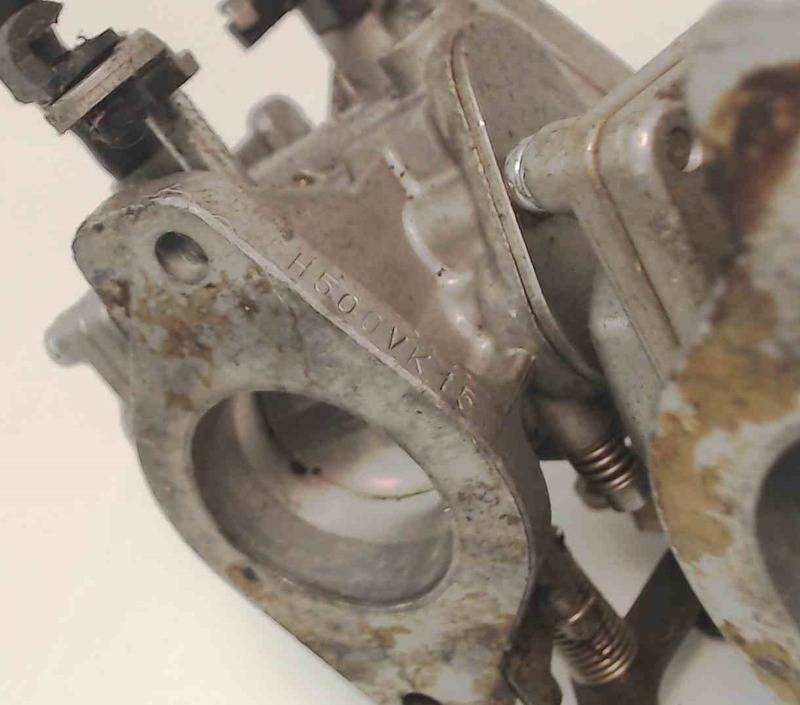 Please match your current carburetor set closely by pictures in casting. If you can help us positively identify this set, we can offer to clean and rebuild it (just like all our other sets) for an additional $250. 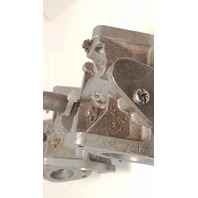 Purchase with confidence!